Gold Star Service at Basic Cost. This was the first time that I have used Courierpoint . The service was excellent! Pick-up was as stated & delivery to a remote part of Southern Ireland was in the three days quoted. I have had numerous problems in the past with other companies - often a week or more to this location even THREE WEEKS on one occasion. I really can't praise this company enough. And all this great service at the busiest time of the year! Thank you Courierpoint, I will be using you again. Fantastic service from pickup on N. Ireland to delivery on Sydney 3 days later. Thank you! Good communication regarding pickup, delivered on time and prompt confirmation of delivery - all perfect. This was an important package and the service really helped things work out. I have just used Courierpoint for the first time and am delighted with their 5 Star service. I was able to track the package so easily from the moment it was collected in Northern Ireland, until it arrived in Italy. Superb ! Could not fault anything from pickup to delivery ! Excellent service ! Booked the parcel on Monday evening for collection on Tuesday. Parcel was collected on Tuesday just before lunch time & parcel was delivered 48 hrs later. Delivery was from Northern Ireland to USA . Liked the way you could track the parcel each set of way. Just very good , Easy and excellent . First tie I have used this this service to Ireland and was very impressed. On this first time experience, I wouldn't hesitate in recommending them highly. These guys are the real deal! I needed to get a package delivered from London to Republic of Ireland. All the quotes I got came to approx £80-200!! These guys priced the entire service at £40!! Yes, I was a little sceptical !! BUT the service was flawless from collection to delivery. I cannot recommend these guys enough!! You can track everything online. You can set yourself up for text messages re where the parcel is I.e. Has it gone through clearance, on route to delivery etc... Honestly my experience was fantastic !! We had a last minute order which came in on a Sunday from an important client who needed their delivery in Ireland (we were sending from UK). It was imperative that it arrived before the wednesday. 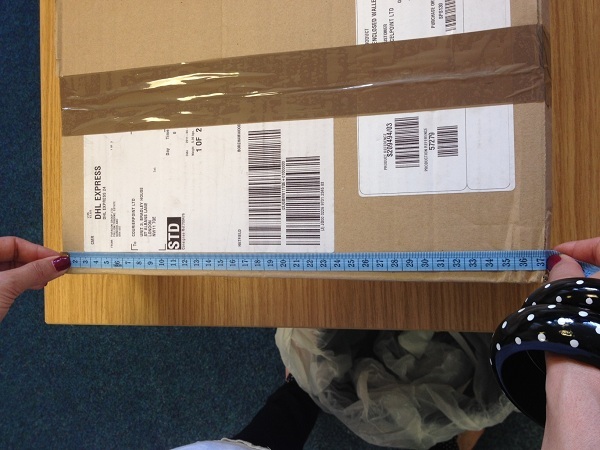 The pick up happened on the monday and the parcel was with the client by the Tuesday lunchtime. Based on this experience - I wouldnt hesitate to recommend this service to others in a simialr position. Cost wise it was very, very competetive, easy to do online and the pick up was seemless. Ireland is one of our closest neighbours with plenty people sending parcels across the Irish sea. Whetheryou have relatives or friends living across the Irish sea for sure you'll have something to send, it may even be cheaper to courier your luggage over rather than paying the high luggage fees with budget airlines. If you are looking to ship to the Republic of Ireland with a reliable service, we have access to the best international courier services. AtCourierpoint we are able to provide our customers with such hugely discounted prices for the following carriers TNT, FedEx and DHL. The services that we provideare all fully tracked, signed for and include standard liability cover at no extra charge. 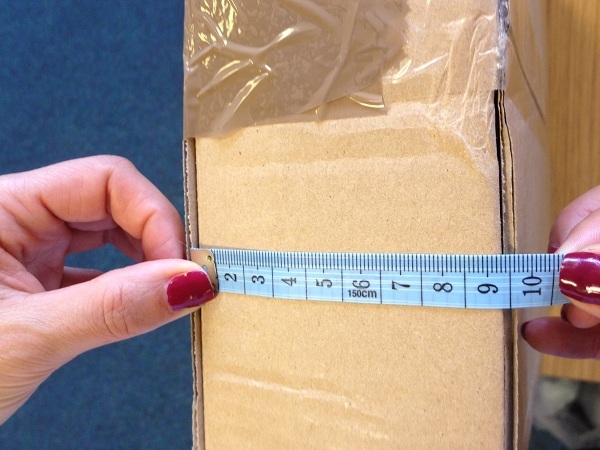 Shipping a parcel to Ireland the starting price would be £18.81 + VAT. 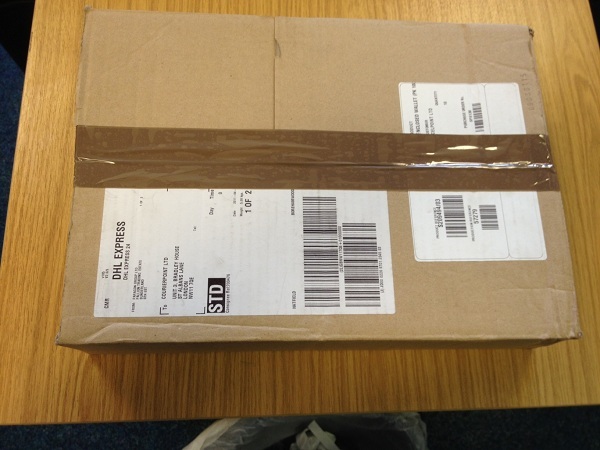 We are able to send many different types of shipments from the UK to Ireland. Whether you need to send documents, luggage, parcels or freight. All are services are at low prices that will save you money. All of our services are accessed through our online portal this is where you can compare all the features of each service and make a selection of the one that is perfect for your needs. When sending a shipment to Ireland, it is very important that you assure that your items are sufficiently protected and packaged for transportation. Whether you choose an economy road service, or an express air service your package will be handled multiple times and it will be subject to vibrations during transportation. As a universal rule, you can send anything to Ireland that you could send to the UK, but you should still contact the Irish Tax and Customs office if you're unsure about anything you're sending. Plus, you can also check out our prohibited items list for goods that can't be carried by our couriers. How to address your parcel for delivery in Ireland? 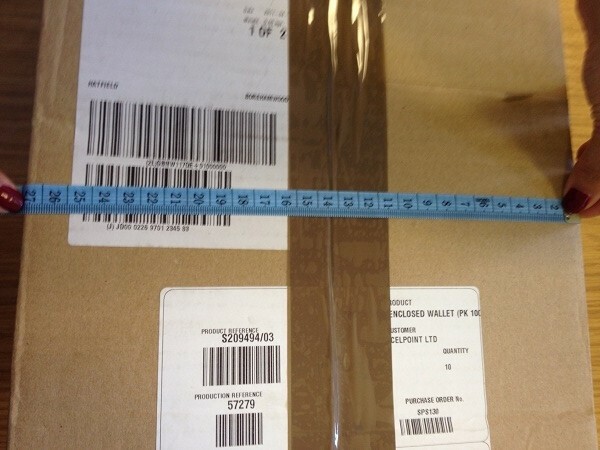 Ireland use the same addressing system as the UK so labelling the parcel is pretty straight forward. The postal code also known as EIR code will consist of 7 alphanumeric characters below the name of the locality with a space after the first 3 alphanumeric characters. We specialise in moving unusual size parcels and pallets to and throughout Ireland. We can move items up to 240cms in length and up to 1000 kilos when they are on a pallet.Sending a pallet to Ireland from the UK is easy with us. We will arrange to have a pallet lorry and forklift come to your location to collect your pallets. They will then be routed with an international pallet service carrier, and delivered on time, according to the service that you selected. Prices are calculated on an individual basis so please contact customer service for your quotation. The average transit time for parcels to be delivered to Ireland is 1-2 working days however next day deliveries are possible with some services. Please bear in mind that deliveries to remote areas may take longer.